Lululemon is determined to turn the entire fraternity into yoga converts. 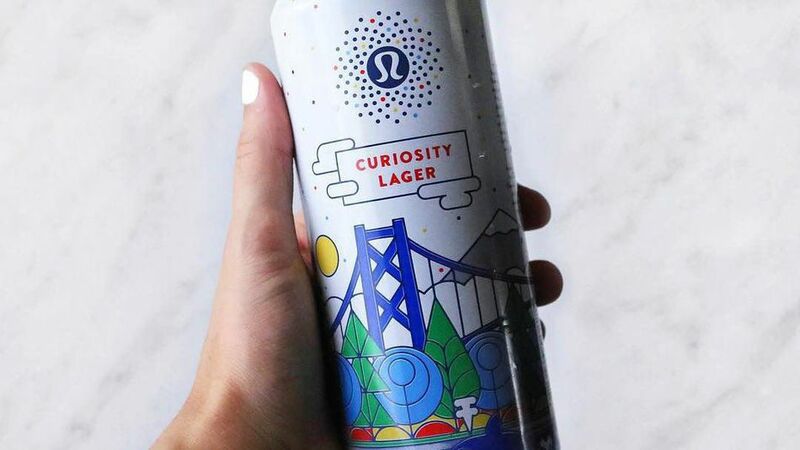 The company that brought you Anti-Ball Crushing pants is becoming even more bro-friendly: Lululemon introduced a limited edition beer called Curiosity Lager. The beer will release on Aug. 15 in Vancouver. Made in collaboration with Stanley Park Brewing, the beer will be released in only 88,000 units, reveals CBC News. This beer is flavored with lemon drop and chinook hops, a departure from last year’s special edition beer, Sunset Strawberry Wit, also a collaboration with Stanley Park Brewing. Graphic designer Karston Smith designed the can. Though some Canadian liquor stores currently sell the beer, it will be promoted at Lululemon’s Seawheeze half marathon and Sunset Festival afterparty, which takes place in Vancouver on Aug. 15. Part of the lager’s sales proceeds will go toward the Stanley Park Ecology Society.